What did our ancestors eat? What do we know about history of the Polish food? These are the questions which many Polish people or people of Polish origin would like to answer. There is a whole branch of Polish cuisine called old-Polish cuisine kuchnia staropolska which deals mainly with the forgotten food products and dishes. There are not too many written sources describing the common everyday life of the Slavs - at least until they formed the first states ~ X century. We can assume that the food which first Poles had was limited to the plants which were growing in Poland the agriculture which would withstand the climate and the animals which were living in Poland in these days. The more humans were able to control and manipulate the nature as for cultivating and preserving the food and the more marchants were travelling all around the globe - the more each national cuisine became enriched with more variety of food products and dishes. It is presumed that Slavs learned bread-baking from Goths. The world bread in Polish chleb has old indo-European origin and its pronunciation is similar in all Indo-European languages (Slavic, Germanic and Romance). In Poland bread is treated almost with religious reverence since the early days. Many people until now mark a freshly backed bread with the sign of the cross, newly wed couple is welcomed at the entrance of their home with bread and salt, bread is blessed during Christmas and Easter. Until today I hate throwing away the old bread - because it may bring a bad luck and a hunger. Old Polish cuisine developed on the basis of old-Slavic cuisine. The first cultivated plants included rye and wheat, millet and barley. Poles made kasha (groats) (English "kasha" comes from Slavic word kasza) from millet (proso), lentils (soczewica), barley (jeczmien) and oats (owies) - these grains were suitable in Polish climate to grow. Millet and lentils were much more popular in the past than now. Kasha or porridge or thick gruel are still used as a part of thick nourishing soups (I remember it from my childhood) and they are the precursors of today cereal with milk. Kasha was often flavored with plumbs (sliwki) or mushrooms (grzyby). Mushrooms - cultivated and the wild-growing ones and forest berries jagody are until now the important part of Polish cuisine. The most famous types of kasha include buckwheat kasha (kasza gryczana) with its characteristic taste. It is a part of Christmas supper (read more about it in the article Food during the Christmas Eve (Wigilia). Many types of kashas known in Poland until know - they vary in taste and a size of the grains, there are many types of kashas produced from barley (kasza jeczmienna) - the most delicate and delicious is so called pearl kasza ( kasza perlowa), other groats are produced from millet (kasza jaglana) or from corn (kasza kukurydziana). Poles love soups, this may be due to the climate, with long and cold winters and a deficiency of vegetables and fruits in some times of the year. The oldest polish soups include of course the soups based on kasha - for instance the lentil soup, as well as the soups made of fermented rye (zur) - read the article with recipes for a real or false zur entitled ryemeal soup (zur). The soup based on kasha which is very popular in Poland until now is called krupnik. 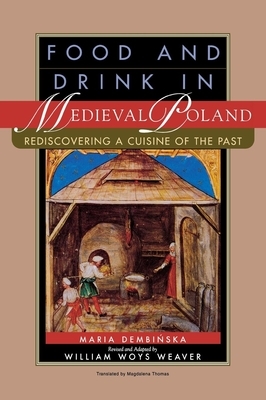 The most popular drinks of the past included beer (piwo) made of barley and mead (miod pitny) made of honey (miod). Poles also made a soup based of beer called beer soup (zupa piwna). I will try to add a recipe about how to prepare beer soup in one of the future articles. Polish climate is not very suitable for growing grapes therefore only fruit wine (not a grape wine) could be made in Poland. Poles, especially nobility loved eating lots amounts of meat, not only poultry, beef or pork but also the game. Especially popular was wild boat. The Polish name for game or venison is dziczyzna which comes from the word dzik meaning just the wild boat. Also all sorts of wild birds like for instance peasants (bazanty) were very popular in Polish old cuisine. Poles also ate vegetables and fruit but the assortment of vegetables was limited until the Renaissance when Bona Sforza, Italian wife of the Polish king brought a variety of vegetables known in Italian cuisine to Poland. Therefore many Polish vegetables have names which originate from Italian - for instance tomatoes are called in Polish pomidory from Italian pomidoro. The vegetables which were known in early Polish cuisine include fresh and pickled cucumbers (ogorki - Polish pickled cucumbers (kiszone ogorki) are known all around the world until now! ), carrots (marchewka), fresh cabbage (kapusta) and sauerkraut (kiszona kapusta), turnips (rzepa), garlic (czosnek), onions (cebula). Caraway (kminek) and parsley (pietruszka) were known in Poland earlier than in Western Europe. It is hard to believe but potatoes (kartofle, ziemniaki) that are the base of Polish cuisine now - were not known in Europe before Columbus found America! The most ancients types of Polish dishes are preserved during Christmas and Easter - for instance the soup prepared from the hemd seeds (siemieniotka is prepared only for Christmas just as horseradish soup (zupa chrzanowa) is eaten only during Easter in Silesia - check the recipe for horseradish soup.